Can You Photograph Yourself? Can a Superhero? 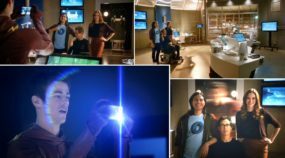 In today’s thrilling episode of Zonerama Magazine, we’ll geek out about the physics of the TV series The Flash. Did its authors go overboard when they let their super-fast hero photograph himself? Oh, and could he have used a flash? So many questions! So let’s answer them. All we’ll need is a little high-school physics. Curiosity—a robotic vehicle—landed on the surface of Mars at the beginning of last August. That means it won’t be long until the first anniversary of its arrival on the red planet. Since it landed, it’s been collecting a variety of data, including pictures. 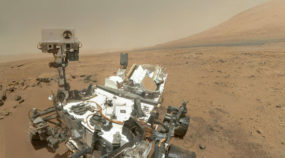 Let’s take a look at some of Curiosity’s first pictures from Mars….